On Sunday, October 29, 2017 from 1:00 – 3:00 pm, small businesses on Elmwood Avenue will participate in the Elmwood Village Association’s ‘Annual Safe Trick-or-Treat’ event. 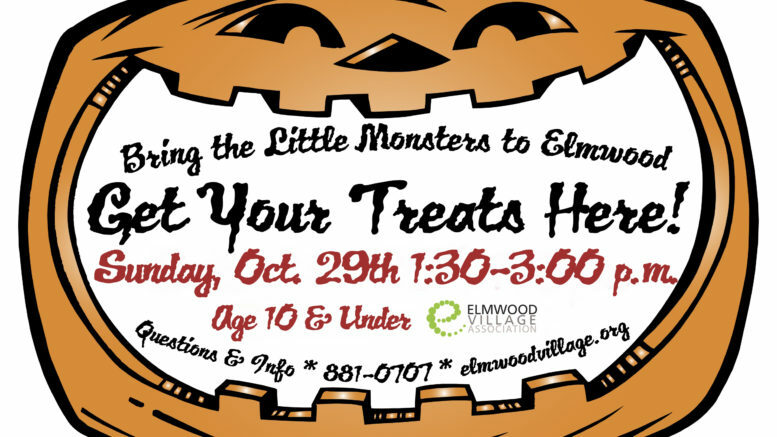 Parents are encouraged to bring children 10 years of age and under, in costume, to the Elmwood Village to collect candy from local businesses. Participating businesses will display Safe Trick-Or-Treat posters advertising ‘Get Your Treats Here’ in their windows. The Elmwood Village Association (EVA) has put on the ‘Safe Trick-or-Treat’ event since 2001 as part of its effort to create and maintain vibrant, livable neighborhoods in and around the Elmwood Village.